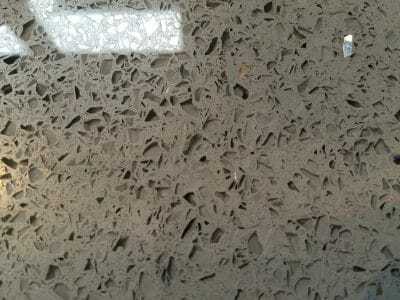 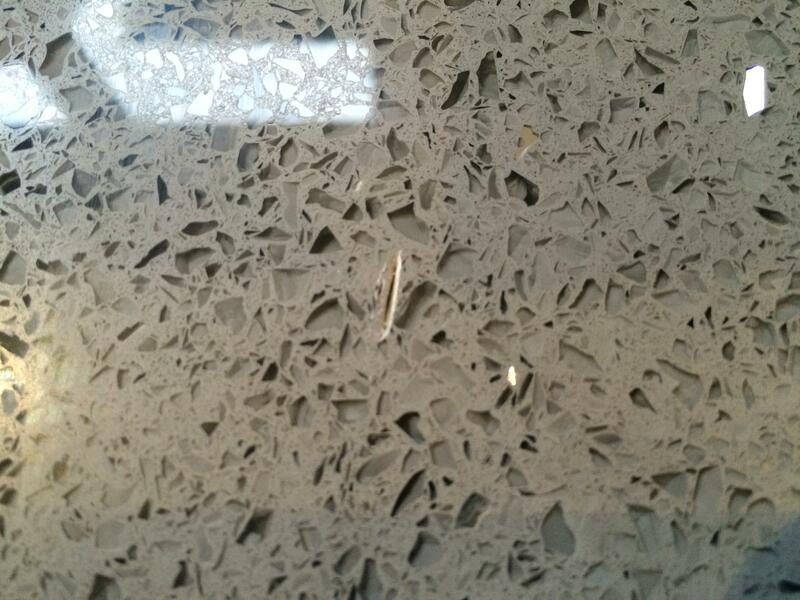 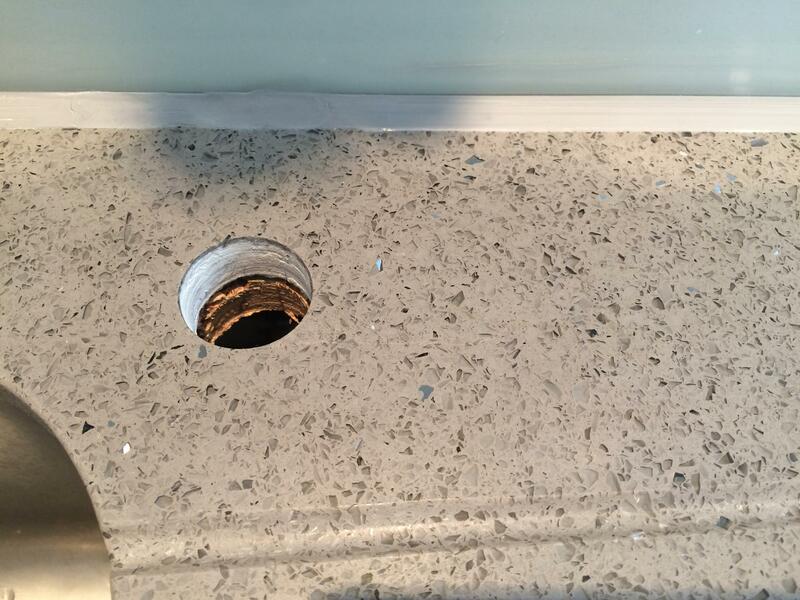 Quartz composite kitchen top has scratch marks removed after an accidental slip while drilling a tap hole. 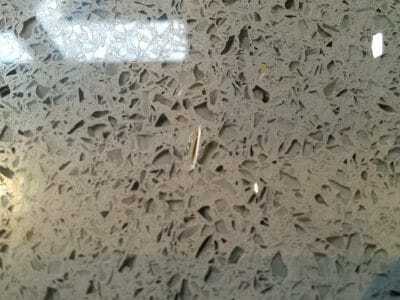 Slipped drill marks in new Quartz kitchen top. Scratches blent in and are virtually gone. 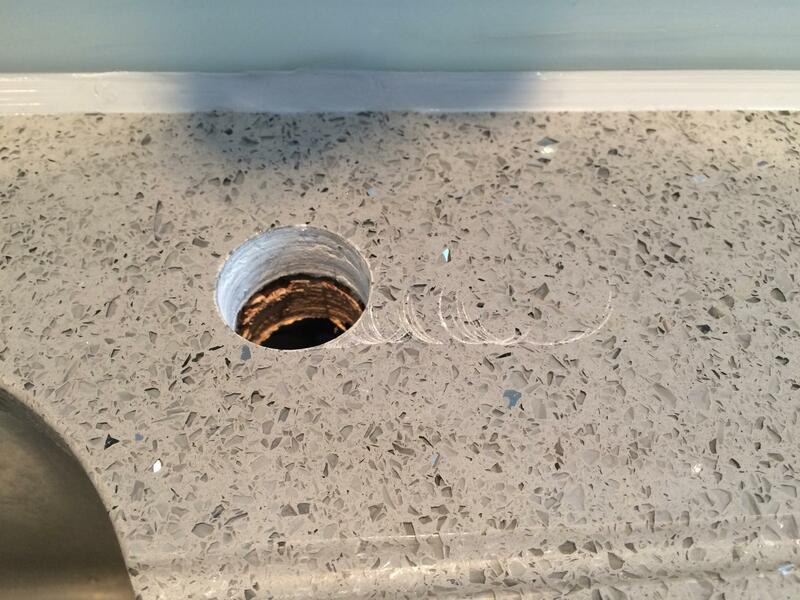 Cut of 12mm long in the same worktop had to be filled. 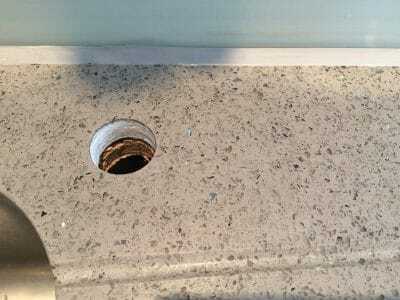 The cut is completely filled to look like part of the stone surface.